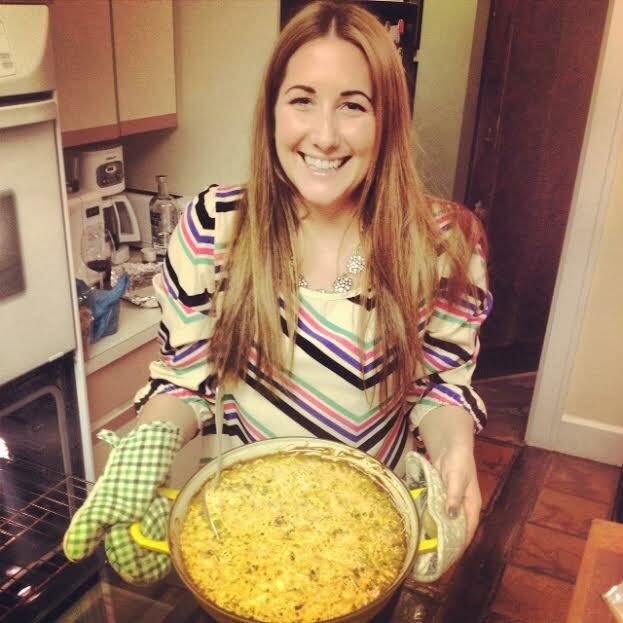 Gluten-Free Butternut Squash Mac & Cheese With Sage & Bacon. 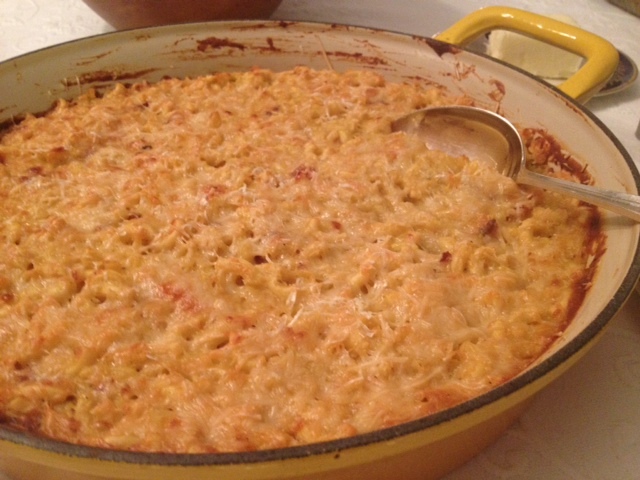 This mac & cheese was a new addition to my family’s Thanksgiving spread this year. I saw a recipe in Self Magazine that looked yummy and decided to adapt it slightly while using the same basic ingredients. I have to admit, my version is probably a bit higher in fat and calories, but hey, it was Thanksgiving after all! The butternut squash gives it a subtle sweetness and the sage gives it an earthy flavor that’s reminiscent of stuffing. The bacon and hot pepper give it a surprise burst of flavor and spice, but doesn’t overwhelm your taste buds. 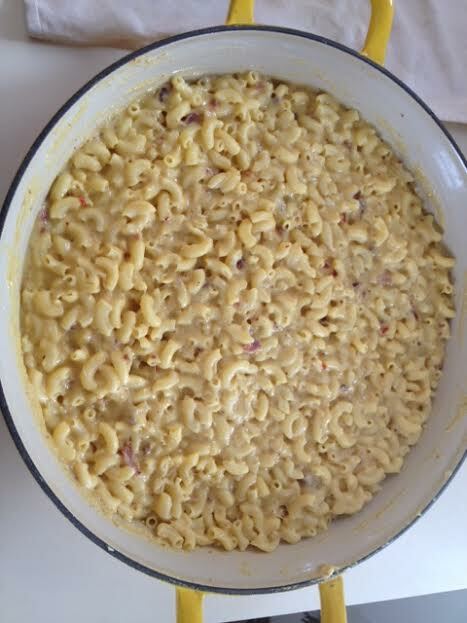 This mac & cheese will definitely win you and your family over. I can’t wait to make it again soon! Begin by roasting the butternut squash. 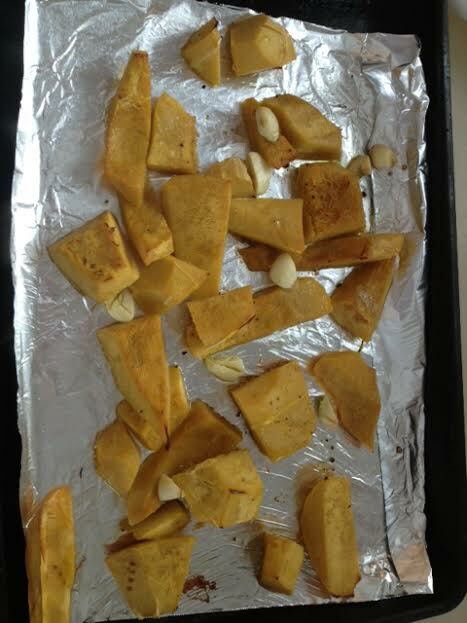 Peel and cut the squash and place it on a baking sheet with the garlic cloves. Drizzle the olive oil over top along with a dash of salt. Cook in a 400 degree oven for about 30 minutes, or until soft. Allow the squash and garlic to cool slightly and then put the mixture into the food processor and blend until smooth. In a medium pot on the stove, melt the butter on medium heat and stir in the sage. 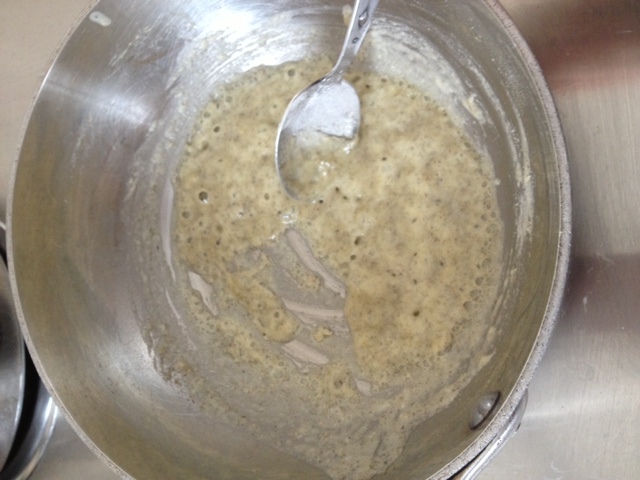 Once fully melted, add the flour in slowly while whisking. Once this mixture has thickened, pour in the milk. Be careful that the milk doesn’t boil, it should only simmer. Add the hot pepper and butternut squash mixture. 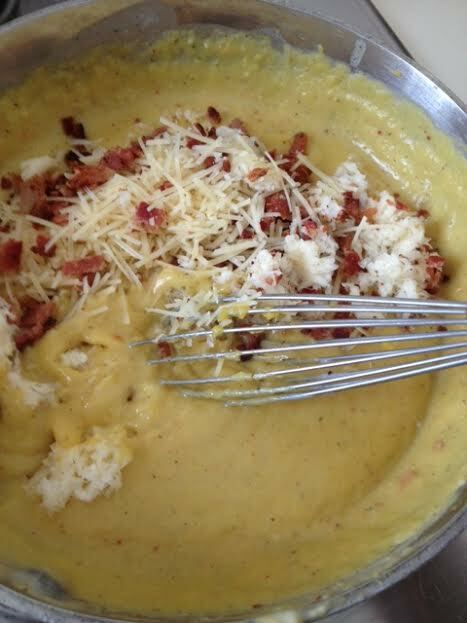 Once this has heated through, slowly add in all of the shredded cheese along with the bacon crumbles, whisking often while the cheese melts into the sauce. 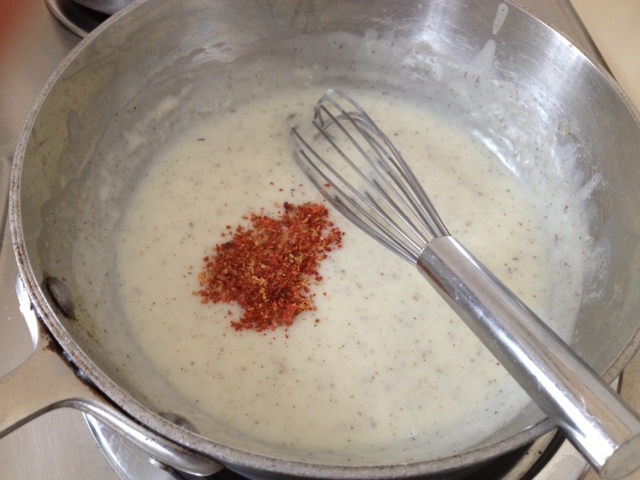 Once the sauce has thickened and all of the cheese has melted, season with a dash of salt to taste. Boil the pasta as directed on the package and drain all excess liquid. 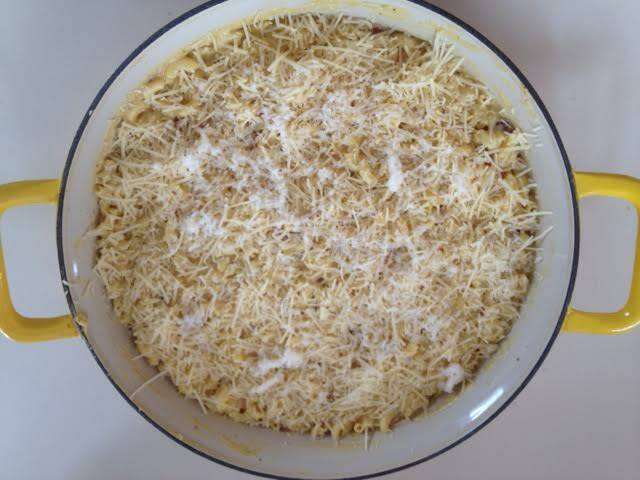 Mix the cooked pasta with the cheese sauce and then pour the mixture into a large baking dish. 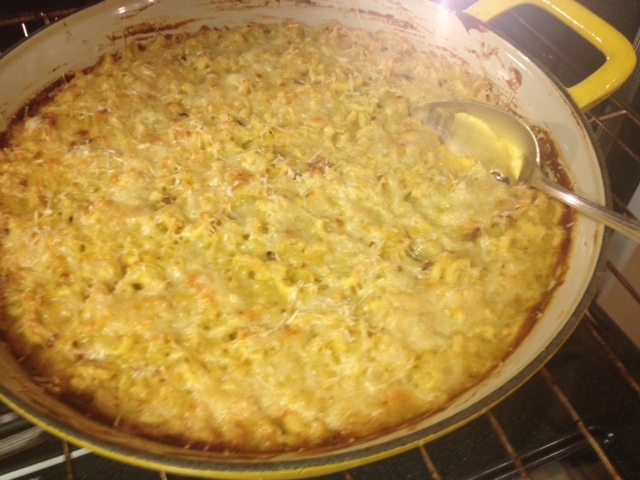 Top with a light sprinkling of grated Parmesan cheese and bake in a 375 degree oven for about 30 minutes, or until lightly browned and bubbly. ← Heirloom Tomato Caprese Salad. This looks incredible–what a perfect winter dish!